Sea warriors/fishermen of yavusa Nabou of Lasakau, who trace their roots to Delailasakau Naitasiri and the Nakauvadra foothills, were brought to Bau from Beqa by the Vunivalu Ratu Banuve. Levuka and Butoni people exit Bau: This was after the banishment of the Levuka and Butoni people from Bau around the 1760’s. About 1760, the Bau chief Nailatikau seized Ulu-ni-vuaka and expelled the Butoni, who thenceforth were rovers, wandering to many parts of the Group, and establishing settlements at Lakeba and Somosomo.To briefly capture Baun history and emphasize this ascendency, the following excerpt continues, “The rise of Bau was rapid, and was due partly to the natural ability of her chiefs, and partly to the advantages gained from the first use of firearms. Kauvadra migration: The Bau chiefs claimed descent from certain elements of the Kauvadra migration, which, having come to Verata, divided and wandered widely; in the final stage of their wanderings they settled, in comparatively recent times, on the coast near their present island, then named Ulu-ni-vuaka (The Pig’s Head). Butoni depart to wander: The island was occupied at the time by the Butoni, a predatory tribe of sailors and traders. However, they continued to own a degree of allegiance to their conquerors, and their canoes were always at the disposal of the chiefs of Bau for the transport of property and warriors. Deryck Scarr, ‘A History of the Pacific Islands: Passages through Tropical Time’,Richmond, Surrey, UK, Curzon Press, 2001,p 115. NLC ‘Tukutuku Raraba Lasakau Bau’ Ratu Viliame Kamikamica liuliu ni yavusa Nabou. David Routledge, ‘Matanitu- the struggle for power in early Fiji 1985’ – published by the Institute of Pacific studies and the University of the South Pacific Fiji,p51,54. Elinor Mordaunt,The recollections,taken from “The Venture Book”, published by the Bodley Head, London, 1926. Sahlins, Marshall David, ‘Apologies to Thucydides: Understanding History as Culture’, University of Chicago Press , 2004, p 64. 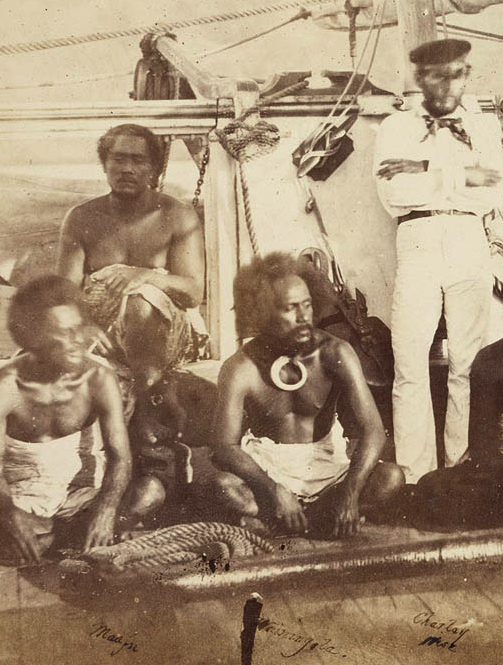 Thomas William, “Fiji and the Fijians v.I, “The Islands and Their Inhabitants” ,Published in 1858 by Alexander Heylin, Paternoster Row, London. Reprint 1983 by the Fiji Museum, Suva, p 290.301,345-7.